I hope you are enjoying this series! The second item is a tongue cleaner which you can find at most pharmacies and super stores. I had always heard of brushing your tongue but I had never heard of or even seen a tongue scrapper until I started at IIN. 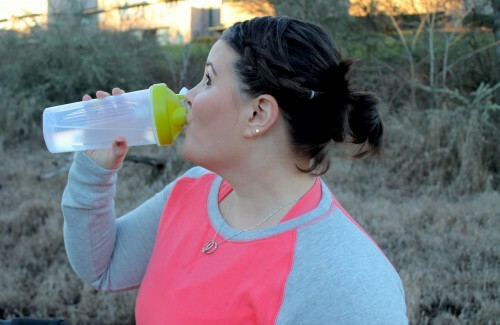 Once I started using one I found that my cravings were reduced and yes it really does improve kissing! The tongue cleaner, an inexpensive yet transformative utensil, is a simple, thin, u-shaped piece of stainless steel. It consists of a blunted edge that removes plaque and build-up from the surface of the tongue. Dentists in America are recommending the tongue cleaner more and more because it helps to fight cavities by removing bacteria from the mouth. The tongue cleaner also prevents bad breath, especially for people who eat a lot of dairy and build up mucus in the mouth, nose, and throat. The tongue cleaner comes from the tradition of Ayurveda, which asserts that people who use one are better at public speaking, express themselves more thoughtfully, and speak more sincerely and authoritatively. Some people ask if the same effect can be gained by brushing the tongue with a stiff toothbrush. 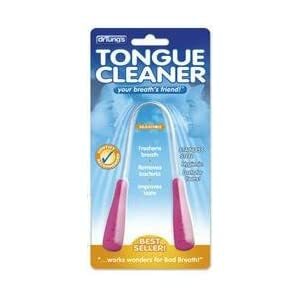 Brushing the tongue moves stuff around and is helpful, but a tongue cleaner is more effective as it clears out the deep deposits and generally keeps the area cleaner, stimulated and alive. Cravings can be reduced by cleaning the tongue of leftover food. When the mouth can still taste the food, you may experience cravings for previously eaten foods. A tongue cleaner reverses the process of desensitizing your taste buds, which has happened to everyone to a greater or lesser extent. It allows you to taste more subtle flavors in food so that you can eat vegetables, fruits and whole grains with greater joy. When old residue is removed from the tongue, you will be better able to taste your food and won’t need to eat as much since you will have gained greater satisfaction from your meal. And finally, a big advantage is that it enhances kissing because it makes the tongue more sweet, fresh and sensitive. If you are in a relationship, we invite you to check this out with your partner. Make an agreement to scrape twice a day for one week, and notice the difference. There should be no pain or gagging involved whatsoever—if you feel any discomfort, you are probably scraping too hard or starting too far back on the tongue. And if you are wondering what those bumps are at the back of your tongue, they are your salivary glands and they are supposed to be there. If you found them you’ve gone too far.